Last month, Kyle and Cam were called upon to serve the running community. Their mission? 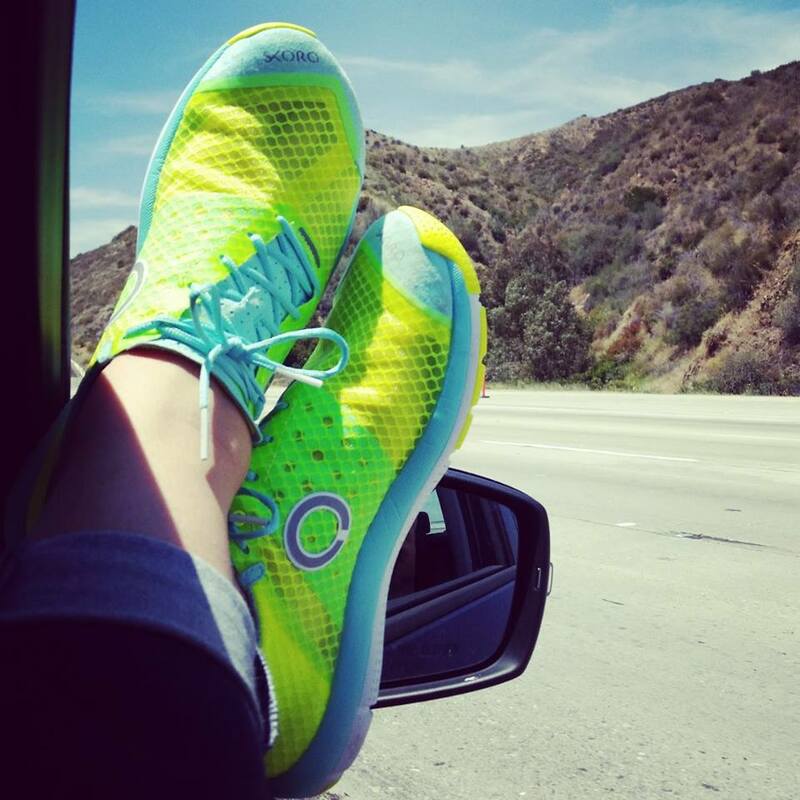 To test run the new Skora Tempo – a beautiful, bright, natural-running shoe that touts “connection + cushioning.” Kyle began marathon training in her pair. Cam ran Ragnar Wasatch Back. These are their stories. Upon receiving my Tempos in the mail, I immediately tore into the package and stuck the suckers on my feet. 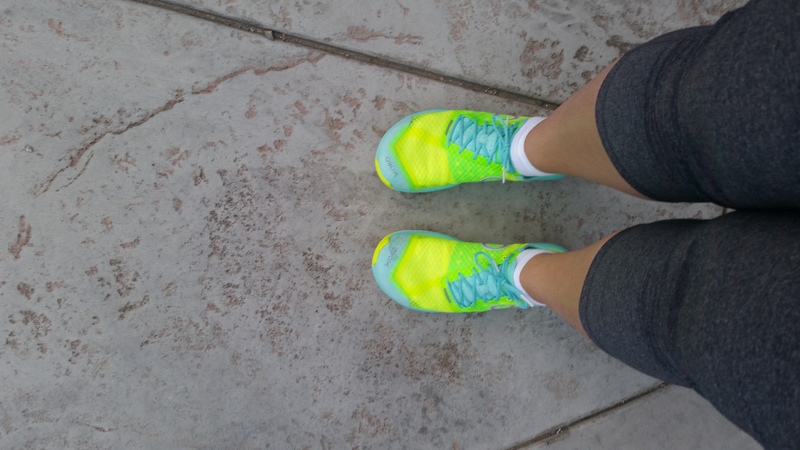 I’ve had a love affair with minimalist shoes since I started distance running three years ago and though I’ve moved away from them during my last two marathon cycles, I was excited to welcome them back on to my feet. I’d never run in a pair of Skora shoes before, but I’ve only read good things about them, so I was really looking forward to putting some miles on them. The first thing I noticed about these shoes was how wide the toe box is – in my excitement to try them on, I didn’t put on socks and they felt really too big in the toe box. But, after putting on a pair of socks, they felt a lot more snug. I loved the lacing – it’s anatomically designed to fit the natural curve of your feet and it allows for a “second skin” like feel. I took them out for a short test run that day and I was in love. That zero-drop is my jam, tho. Knowing my feet and how they handle long distances, though, I know that these shoes will probably be designated as middle distance kicks – no longer than 13.1 in these babies, because otherwise my feet and knees will be a bit unhappy. As I tested the Tempos out, I wore them to the gym for my other workouts. The great thing about zero-drop shoes? They make GREAT lifting shoes. These are no exception. You’ve got plenty of cush to make your joints happy, but you’re also totally connected to the ground, which gives you a strong base to lift from. Usually I lift in my New Balance Minimus, the soles of which are made of the same material as the Vibram Five Fingers. I love those shoes, but I’ve been looking for something different and Skora, you’ve come through! I’ve got a 9-miler on the docket for this weekend and I’m looking forward to another run in the Tempos. I’m still getting used to minimalist running again, but I love how light and unencumbered my feet feel in these shoes. 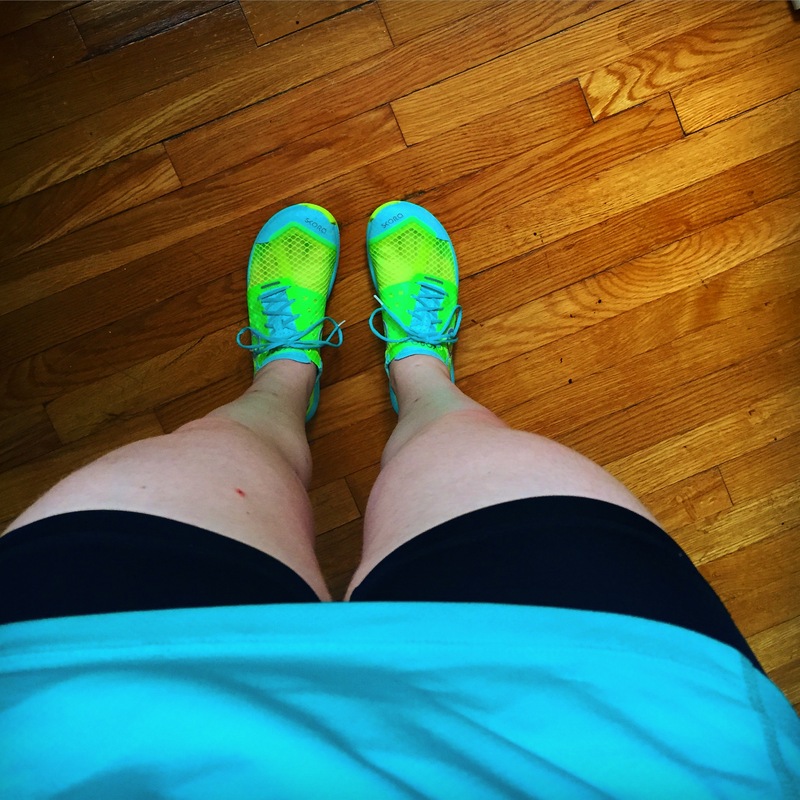 I’m excited to see what my splits look like – even if it’s just in my head, I feel faster when I run in these, and that’s always a good thing! So you guys know how I feel about Skora, right? I’m pretty much their biggest fan. I’ve had nothing but shoe problems since I began running around 5 years ago. I’ve tried them all and Skora is where my heart is. It’s a very committed relationship. Given the opportunity to try out their new model, I was like a kid in a candy store…or a runner in a shoe store? I don’t know, I was thrilled. Skora generally are made to be worn without socks. They have this “no sew” construction so you don’t feel all the seams and junk on the top of your foot. The Core is what I’ve worn in the past and just before trying these, I invested in a pair of the Forms. I like that they’re made from genuine leather. They’re soft and mold to your foot. These are a zero drop shoe, meaning they have a 0mm differential between the heel and toe. The Forms I’ve been running in weigh a whopping 6.8 oz and have a 13 mm sole. The Tempo are a little lighter at 6 oz but they have considerably more padding at 22 mm. Socks not needed!!! These shoes are super light, super airy, and super comfy. Plus, they look awesome and reflective, which is must for us night runners. The first thing I noticed is that they have a bit of an arch, probably undetectable for normal feet but my flat feet noticed immediately. The gave me a bit of soreness in the heel and arch initially, which I haven’t experienced with the Form. Once I’d given them a solid 10 miles, though, they entire shoe was undetectable. And because of the mesh upper, I could feel the breeze on my toes. I’ve been wearing them for cross training, also. Like Kyle mentioned, they have a huge toe box. Mine were a bit big in the length, even though I ordered my normal size 10. I felt like the material buckled around my toe a bit with lateral movement. If I were to order these again, I’d probably size down a half size. The box is big enough, you don’t have to worry about your toes rubbing against the shoe so sizing up is unnecessary. At this point, I was already very please with my these new shoes, but I wanted to put them to the real test: Ragnar. Would I still love these shoes after three runs over two days and 15+ miles? I’ve had terrible issues with my ankles, so I wrapped and wore compression socks for my first run. These shoes did fabulous. I had no foot pain, which is my main issue when I run. Granted, I have to apply a lot of topical pain relief to my ankle before I run, but my arches felt great. My second run, I ditched the socks and felt the wind between my toes. Go Ragnar! Gearing up for my last run…sockless. My last run was 4.1 miles downhill. And when I say downhill, I mean like 2000 ft elevation loss. I ended up getting huge blisters on the inside arches of both feet and a pretty sore achilles. The extra space in the toe from the shoe being a little big may have had something to do with this. 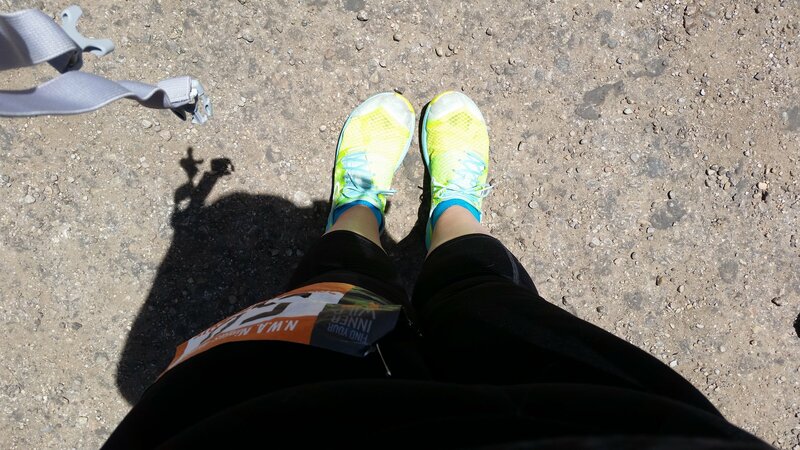 However, I didn’t have knee pain, which I anticipated given this downhill and I didn’t lose a toenail, which happens every Ragnar. I can’t be sure if the blisters were because of the shoe or just a casualty of Ragnar. Historically, by my third leg, I can barely walk, my knee caps feel like they’re about to pop, and ankles are the size of grapefruits. I’d definitely rather just have a couple blisters! Sometimes when I run, I also dance. Overall, I really like these shoes. I think they’d be fantastic for someone with more of an arch and the cushion is just unbeatable. I don’t know what they’re using in the soles, but seriously, it’s like marshmallows. I still like my Form the best, but I’ll be adding these to my list of reasons why Skora holds my heart. 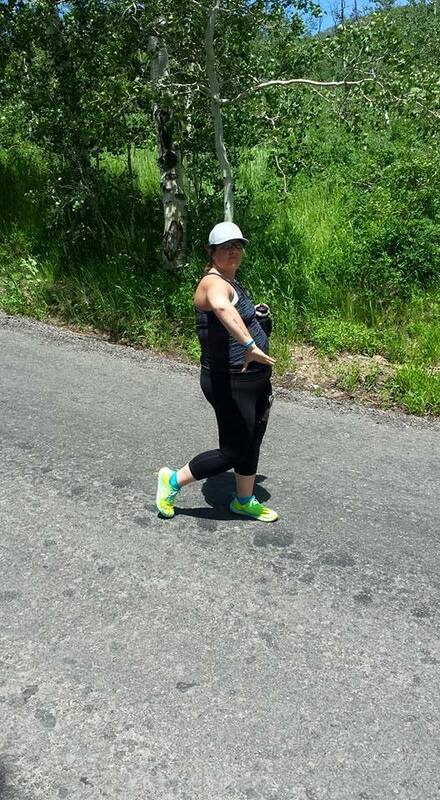 This entry was posted in Reviews, Scoot a Doot chatter and tagged Cam, kyle, marathon training, minimalist, natural running, ragnarrelay, SKORA, tempo, wasatch back, zero drop. Bookmark the permalink. Great review, I’ve been wearing the Tempo for all of my races and some of my longer/harder training runs. The little bit of an arch “structure” there was something my super flat feet noticed initially as well, and it *really* bothered me. However, after a couple runs I now don’t even notice it for a second. I think it just needed a run or two to break in, who knows. Running a downhill like that can make the foot move around a bit more within the shoe, which could certainly cause some blistering. Something that I find interesting is that I would definitely not consider this shoe a minimal shoe. Coming from doing most of my training in the thinner Skora models, this one is considerably more cushioned and easily on par with some of the Kinvara type shoes on the market. The Tempo definitely has more structure than the other Skora models. I feel like it’s a good in-between shoe, maybe better for long runs when you might need more cushion. Nice reviews. I switched to Skora full time in November, and I currently run in the Phase, Core and Fit. I can’t wait to try out the Tempo. I used the Fit for my recent 50K, and my feet were a bit sore by the end. I think the extra cushion in the Tempo might help with that. Definitely. The Tempo have a lot of cushion compared to other models.